More people are taking steps to prevent their skin from aging before its time. Having facial skin exposed to the air can cause harm to the skin cells without people even knowing that it’s happening. There are a lot of pollutants found in the air inside buildings as well as outside. These pollutants get into the pores of the skin where they can dry out the cells or irritate them. 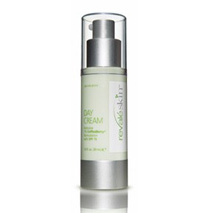 One way to combat the pollutants in the air is to use a rejuvenating cream. Revale Day Cream is made with the type of ingredients that will noticeably improve the condition of skin with regular use. The beneficial ingredients found in Revale Day Cream include a coffee berry extract. This extract is classified as an antioxidant, which helps keep the skin cells healthy. There are certain pollutants known as free radicals, which cause harm to the skin and lead to premature aging and unhealthy changes in skin cells. Products made with antioxidants fight these free radicals so that they actually protect the skin from aging. People who use Revale on a regular basis will see the small lines and wrinkles on their skin begin to disappear. Regular use will also reduce the amount of wrinkles obtained with age. The different pollutants that can harm skin cells include airborne bacteria, UV rays and smoke. There is also the pollution that comes from gases and chemicals emitted into the air from factories and even in your own home from chemicals used in the production of building materials that are released gradually into the air, long after the initial building process. These pollutants can clog the skin pores causing irritation, which can manifest in the form of rashes or pimples. When the skin is exposed to the UV rays of the sun it can also become sun damaged which could lead to skin cancer. Revale Day Cream is made with a protective sunscreen to help reduce the amount of damage caused by exposure to the sun. This cream contains a strong 15 factor for SPF protection against UV rays. Not only will it help protect the skin from the harmful effects of the sun, but it will also help protect against wind. Strong winds can dry out the surface of the skin in a short amount of time. They can also blow dirt and debris around in the air, which could settle into the pores of the skin. When this rejuvenating cream is combined with a daily cleansing routine, the result will be healthy glowing skin that is also protected from the outdoor elements. This cream can be applied to any exposed areas around the face including the neck and chest, to add protection against the pollutants found in the air. For a closer look at RevaleSkin Day Cream, and the complete line of RevaleSkin products, click here. Skincare Solutions Store has a amazing selection of quality skincare products that will help your skin stay young and healthy looking.